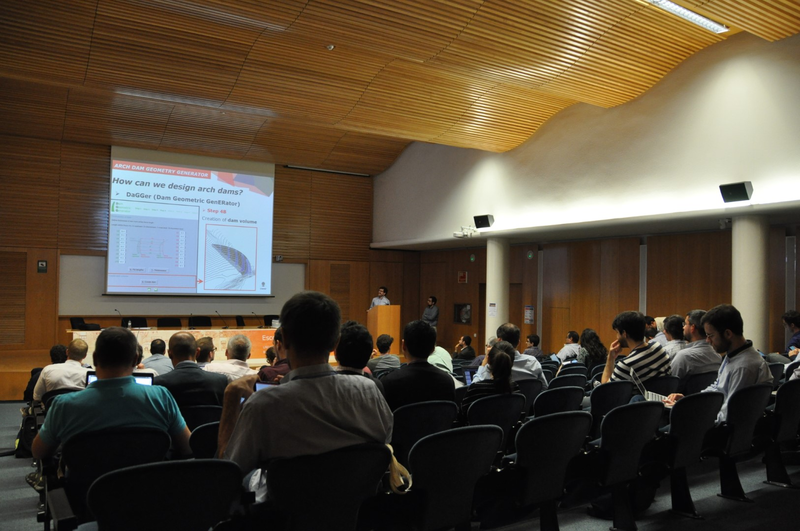 From 22th to 27th July the World Congress on Computational Mechanics (WCCM) will take place in New York, USA. The 13th World Congress in Computational Mechanics is expected to be one of the largest Computational Mechanics gatherings in the United States, with an expected participation from all parts of the globe, representing multiple sectors, including academia, government and industry. GiD team will be present in the congress with a exhibitor booth. Visit us and you will be able to know all the news from GiD v14 from the hand of the GiD developers. Feel free to ask your questions and give us your feedback. Find more information about the WCCM in wccm2018.org. GiD version 14 is already available. Choose your platform and download it now! GiD version 14 has been released in the framework of the 9th GiD Convention on Advances and Applications of GiD. 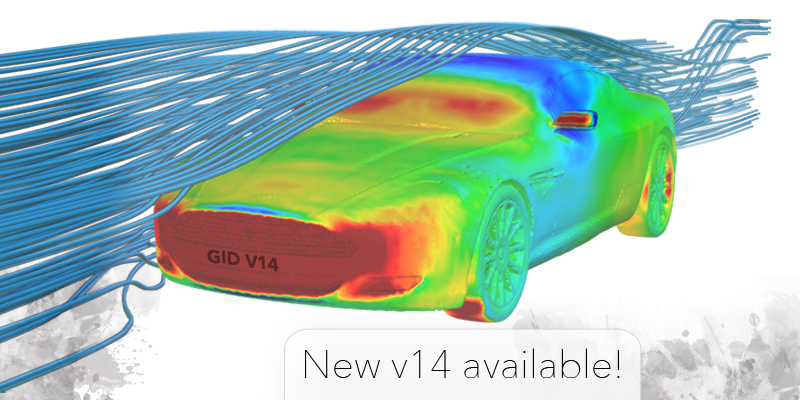 You can check the new features of version 14 of GiD here. From 11th to 15th June the 6th European Conference on Computational Mechanics and the 7th European Conference on Computational Fluid Dynamics will take place in Glasgow, Scotland. All the attendees will find the new GiD brochure inside the congress bags, presenting the new GiD version 14. If you are attending the congress and you have any question regarding new GiD v14 just let us know in our social media! For further information please visit www.eccm-ecfd2018.org. A new developer version have been released. GiD13.1.11d is ready to download from our webpage. Nodes/Elements to grid surfaces: allow select the desired entities. Unstructured mesher for volumes assignable to each entity, among Advancing front, Tetgen (Delaunay based) and Octree. Native support of HDF5 postprocess format. A new developer and official version have been released and can be downloaded for all platforms. The new official version GiD13.0.4 can be downloaded from www.gidhome.com/download/official-versions/. Check what’s new in this version. Visit www.gidhome.com/download/developer-versions/ and download the latest developer version GiD13.1.10d. Discover the latests news in this version. Now you can purchase your SpreadDEM licences throught the GiD shop. SpreadDEM is developed for MS Windows and can be purchased as a local or USB licence. The local version is a licence for a single PC/Laptop while the USB is a portable licence associated to a specific memory stick. SpreadDEM is the first industrial numerical tool to perform virtual experiments of centrifugal fertilizer spreaders oriented to designers and producers of agricultural machinery. Uses GiD as pre and post processor and takes advantage of the GiD customization tools to adapt the GUI appearance to SpreadDEM needs. Based on DEMPack technology, a Discrete Element Method (DEM) software for bulk material simulation, the trajectory of every single fertilizer particle is evaluated from the hopper to their contact with the ground. Find more information about SpreadDEM here and learn more about GiD shop here. 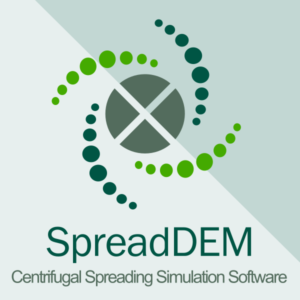 SpreadDEM is the first industrial numerical tool to perform virtual experiments of centrifugal fertilizer spreaders oriented to designers and producers of agricultural machinery. Is based on GiD and DEMPack. Obtain spread patterns, transversal distributions of fertiliser and the coefficient of variation easily by importing your spreader geometry. 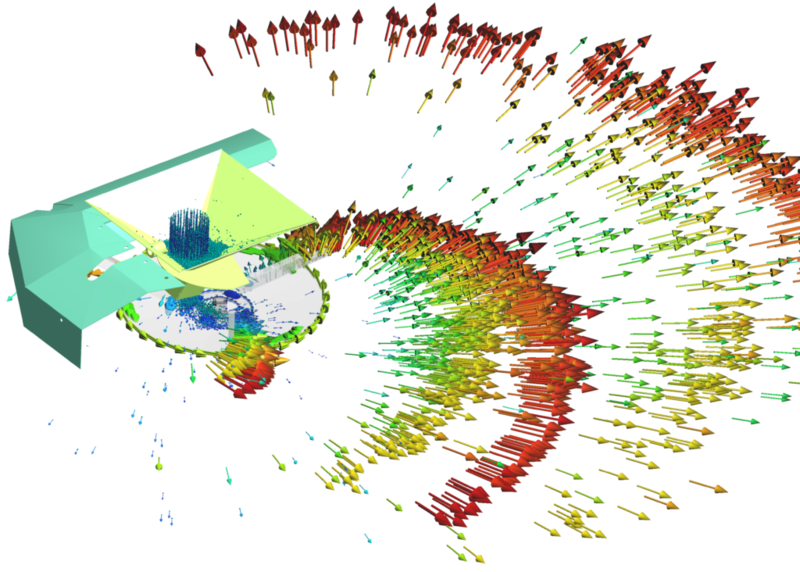 Improve your design by analysing the detailed flow of particles from the hopper onto the disc and from there to the ground, tracking individual trajectories, velocities and impact points. SpreadDEM has been developed in CIMNE by the DEMPack team. SpreadDEM uses GiD as pre and post processor and takes advantage of the GiD customization tools to adapt the GUI appearance to SpreadDEM needs. SpreadDEM provides a complete and practical solution to optimize the design of the spreading machinery becoming an alternative to trial-and-error experimental testing. Thanks to its easy-to-use interface, users are able to simulate in a few intuitive steps and with minimal training the most significant results for the fertilizer spreading. Past November, SpreadDEM team attended the Agritechnica 2017, the world’s No. 1 trade fair for agricultural machinery, presenting SpreadDEM to the leading manufacturers of agricultural machinery. In February 2018 SpreadDEM team will attend FIMA2018, the 40 International Fair of Agricultural Machinery, that will take place on 20-24 February in Zaragoza, Spain. Find more information about SpreadDEM here.